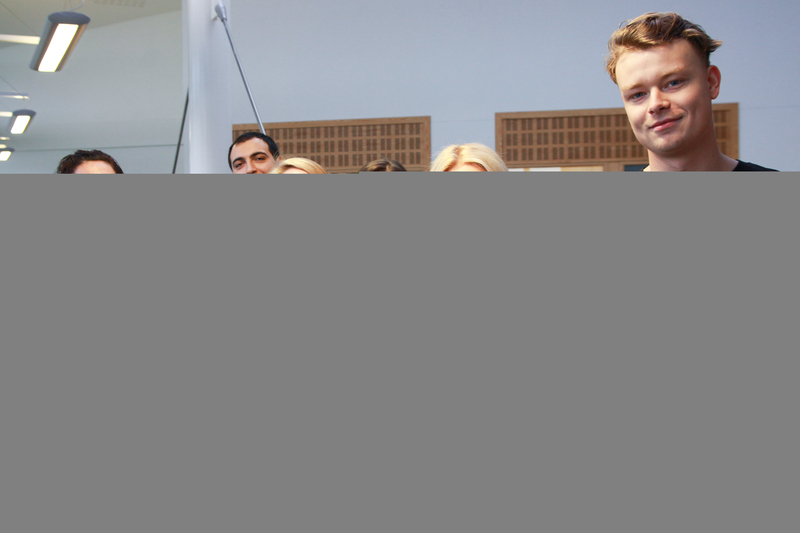 Combining their talent for business with their desire to protect the planet, six aspiring young Cornish entrepreneurs have created a product to help combat plastic waste pollution. 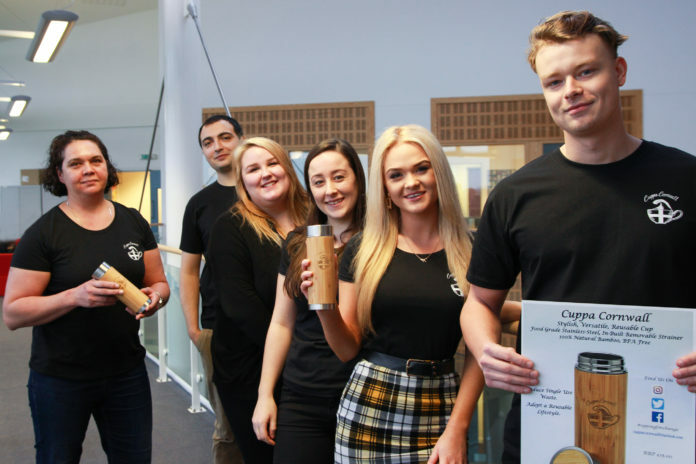 Cuppa Cornwall, the brainchild of BA (Hons) Business, Enterprise and Leadership students from Truro and Penwith College, specialises in the promotion of plastic-free living with the creation of their 100% leak proof and recyclable reusable cup. Proudly portraying the Cuppa Cornwall logo, the company name and Cornish flag is laser etched into the natural bamboo and stainless steel cup, which has proved to be an instant hit with customers. Launching its product in the Truro branch of the national kitchenware specialist store Steamer Trading Cookshop, Cuppa Cornwall was overwhelmed by the response that its product gained. Having exceeded its predicted sales, Steamer Trading Cookshop has invited the company to return to the store in the future to deliver further demos of the reusable cup.